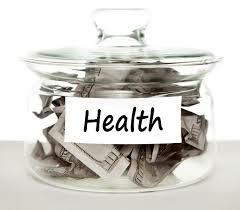 Dr.Malpani's Blog: Why is the Indian Health Insurance Industry sick ? Why is the Indian Health Insurance Industry sick ? People buy health insurance so that they don’t have to worry about the cost of their medical care when they fall ill. One would presume that their health insurers would go out of their way to help patients get better. Unfortunately, when you get admitted to hospital, the ground reality is far removed from the pretty picture that the sales rep of health insurance companies painted when they wanted you to sign on the dotted line for their “comprehensive” health insurance schemes. Health insurance companies pour large amounts of money into advertising and marketing their products and they scream from the rooftops and of course your TV screens about how their policies are useful to you in case of an illness. However, like I said earlier, real life is far removed from this effective story-telling they use to ensnare customers. There are a number of reasons for this; one of them is that most health insurance companies believe that doctors and hospitals are crooks. The fact is that many of these insurance companies have lost significant amounts of money thanks to medical fraud perpetrated by healthcare providers. This is generally in the form of inflated medical bills and fictitious claims for operations performed on non-existent patients; all of this has bred a lot of distrust in the minds of the healthcare companies, for doctors and hospitals. The downside to all this is that the good doctors find themselves caught in the brouhaha. They find that many of their legitimate claims are denied or maybe their payment will be delayed or held back. It’s because insurance companies have now introduced a range of checks in an attempt to prevent fraud and to protect themselves. Obviously these become major pain points that lead genuine customers to the point of frustration. Hospitals find that their payments are delayed; patients are often angry and upset that their claim is rejected only because there was a clerical error in submitting the form! What’s even worse is that the unintended fallout of these types of excessive safeguards is that it has a negative impact on the quality of medical care that patients receive. For example, insurance companies insist that patients should submit their original hospital and medical records with their claim, when they want reimbursement. The problem arises because the companies often tend to sit on these records for extended periods of time. And so, when a patient has to go for a follow-up visit or even get a second opinion, she doesn’t have the original medical records. In my opinion, this is truly ridiculous. Medical records are the property of the patient and it’s not right that the health insurance company keep them. The reality is that they often do so for extended periods of time, while “processing the claim”. This is extremely unfair on patients as well as their doctors, who have been denied access to valuable information which they need to treat the patients. Health insurance companies have become lumbering dysfunctional bureaucratic organizations that still haven’t learned how to put their customers first. The good news is that this break can be welded- with the use of technology. In the US, the insurance company doesn’t ask for the original patient records. On the other hand, Indian companies are just stuck in the rut of habit- they have been following this practice of keeping original records, for ages and no one has bothered to change it. Its time they begin putting technology to good use and provide better customer service and expedite claim processing. The best way of doing this would be to provide patients with their online electronic personal health record. Since these are online, submitting and processing can become seamless. It would ease things for the patients, help reduce the company’s transaction costs and it would help prevent fraud- auditing claims is much simpler when it’s done via an electronic medium. Ended up being an incredible help. I am going to impart it to my companions. Looking forward for some more related article.